Westhill lost to Trinity over the weekend by a score of 56-28. Carl Gedeon threw a 34 yard touchdown pass to captain Dan Hogan. He also threw a 15 yard touchdown pass to Mekhi Barnett. 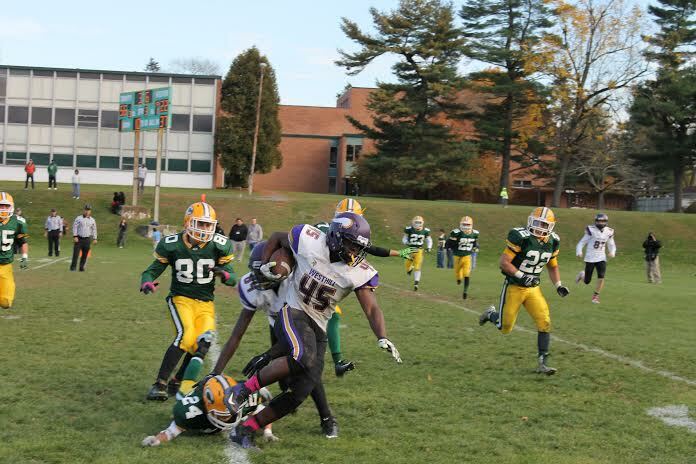 Westhill’s next game is against Ridgefield this Saturday. Be the first to comment on "Photos varsity boys’ football vs Trinity Catholic"